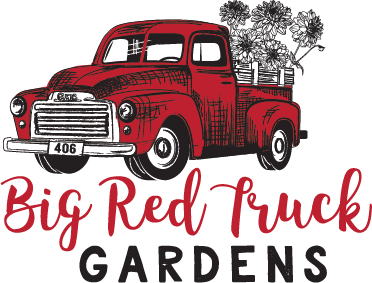 Big Red Truck Gardens offers the freshest blooms in the Flathead Valley during our short growing season. While most flowers spend days in-transit before arriving at the market or large wholesalers, ours are fresh-picked daily at their peak — for maximum freshness. We start all of our flowers from seed, tuber, or corm, and spend countless hours grooming them in the field, so they look their best when they arrive to our beloved clients. Our plants and flowers are never treated with harmful pesticides, herbicides, or harsh chemical fertilizers; which is beneficial to the soil, insects, water, and the handlers of the blooms. Our goal is to practice sustainable-farming techniques while maintaining 100% satisfaction to our valued customers.